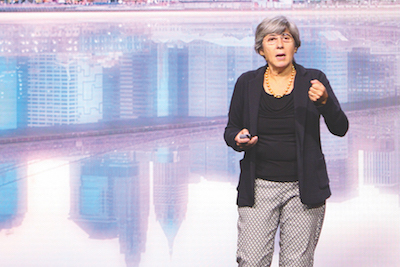 Manuela Veloso, Head of the Machine Learning Department, was invited to present her research on "Human-AI Interaction: Autonomous Service Robots" at the Strata Data Conference on September 28, 2017. 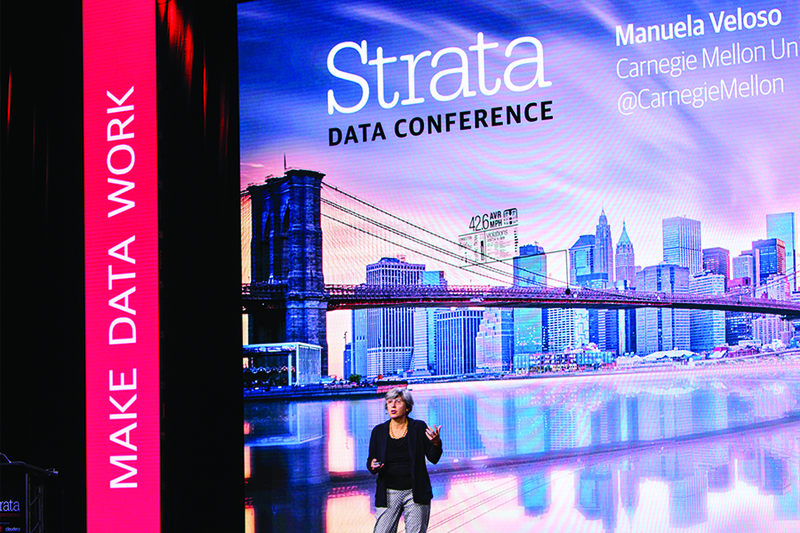 The Strata Data Conference gathered several thousand data science developers and the presence of many companies. 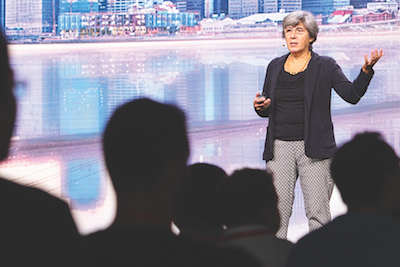 The conference was presented by O'Reilly and Cloudera and took place at the Jacob K. Javits Convention Center in New York City. Veloso was invited by Ben Lorica from O'Reilly who sent the above photos.